Our office is based in Biggin Hill, Kent conveniently situated on the borders of London, Kent & Surrey. 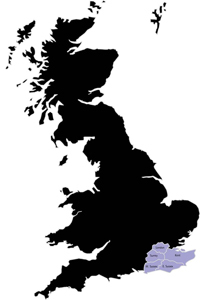 With Sussex just a short distance away this enables us to cover the majority of the South East of England. Please contact us if you are unsure if your area is covered.